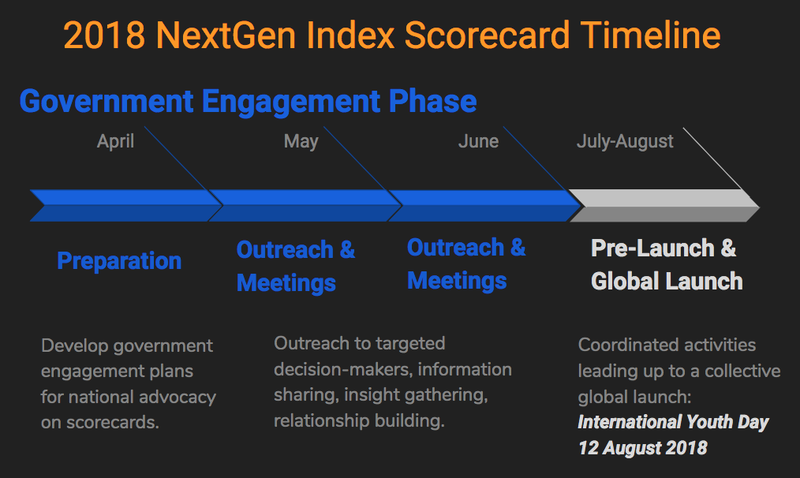 Welcome to the Government Engagement Phase of the Global NextGen Index Scorecard process! Thanks for your invaluable work so far. 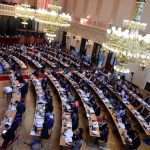 During this next phase we would like to support you to plan and implement targeted government engagement strategies in your country. We hope these efforts will highlight child detention issues, and deepen your relationships with government decision-makers in your ongoing work. STEP 5 Have Your Meeting! Good Luck! Click on the buttons to access important tools for your advocacy planning. GO FORTH & STRATEGISE! Use this tool to assess your country’s scorecard results, and determine the most strategic points for improvement and action by decision-makers. Use this tool to assess the landscape of decision-making in your country, and then determine the most strategic individuals to engage who have authority to address your advocacy goals. Find their contact info, reach out to their office and make an appointment! Use this tool to assess the dominant narratives about your issue from various perspectives, identifying the perspective of your targeted decision-makers, and developing the most influential framework and message. Use this tool to solidify the structure and goals of the meeting, and designate team members to cover each part. Use this tool to research key information about the decision-maker, and identify the main talking points for your meeting. Use this tool for tips on research, learning, and building relationships in the government engagement process. Use this tool to determine how the meeting went, what follow up is needed, what worked in the meeting presentation, and what areas might need improvement for next time. https://endchilddetention.org/wp-content/uploads/2018/06/[email protected] 777 1600 leeanne https://endchilddetention.org/wp-content/uploads/2018/06/Artboard-1.png leeanne2018-04-03 17:58:352018-06-28 13:53:21NextGen Index Advocacy Tools!